Physiofusion's simple Couch to 5k guide. Start improving your well-being. A simple guide to couch to 5k. Couch to 5k isn’t just aimed at those who want to run a marathon – although it is a great place to start. 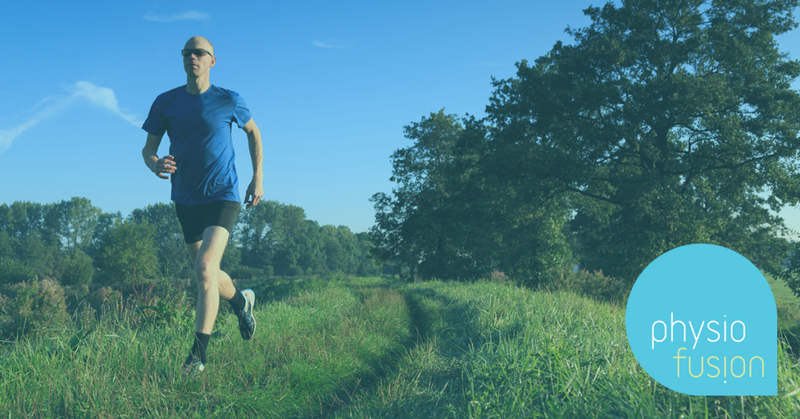 Couch to 5k is a hugely popular training program designed to take us from a sedentary lifestyle to giving us the capabilities of running a 5k distance in only a couple of months. The idea of couch to 5k is to promote a more active lifestyle without making drastic changes to our lives. By dedicating just three days per week to exercise, for a total of nine weeks, we are able to reach our couch to 5k goal via a mixture of walking and running workouts. Week by week, the aim is to set ourselves a goal for that week and then gradually try to improve on what we did the week before. For example, week 1 we must exercise three times, starting with a brisk five-minute walk, then alternating one minute of running and one-and-a-half minutes of walking, for a total of 20 minutes. The following week we will aim to improve on this by starting with a brisk five-minute walk, then alternating one-and-a-half minutes of running with two minutes of walking, for a total of 20 minutes. And so on. Whether we walk or we run, this is all dependant on our own personal fitness levels. See NHS’s couch-to-5k, 9 week programme here. It is important to remember that the 9 week timescale is only a target and that we can modify this based on our fitness levels. We should not feel frustrated if we have to repeat a week, or alternatively, if we feel a workout is too easy. The most important thing is that we are actively making improvement to our wellbeing by attempting to exercise only a few times per week. If you have never run before or it has been a long time since you last exercised, there are some simple tips we recommend to prevent injury and also ensuring you enjoy it! Running requires little equipment but we do recommend a good pair of shoes that gives us adequate arch support. They don’t have to be expensive or top of the range, but they should be suitable for us with a comfortable fit. The challenge aims to gradually build up our time spent running to help our cardiovascular and musculoskeletal system adjust and ultimately become stronger. With this in mind, it is important we stick to the schedule and mind our pace. As things become a little easier and we build confidence, it can be tempting to push our time spent running or increase our distance but we MUST be cautious! Should we push too hard, too fast, we are more at risk of developing an injury. Before we exercise, it’s a good idea for us to complete a few stretches for our legs as part of a warm up. After our run, it is beneficial for us to repeat our stretches as part of our cool down: ideally hamstring, calf, quadriceps, hip flexors and glutes each held for 20-30 seconds a piece. Like the challenge itself, we should ease ourselves into each stretch, never force ourselves into pain and try to avoid bouncing during our stretch. We will feel a pull which may intensify as we hold the position longer, however, it should not be painful. Even if we don’t feel tight or feel we haven’t spent much time actually exercising, it is beneficial to get into the habit of investing time on stretching. Flexible muscles are able to work and contract more effectively and efficiently, making the run more comfortable and less likely for injury to occur. In order to feel our best during and after exercise, adequate hydration is A MUST. Afterwards we will need to replenish fluids lost through sweat and expiration, so keep drinking. It is hugely beneficial for the recovery of our muscles too! When starting a new challenge like this one just remember to be patient, take your time, and listen to our body. If we miss a day or two, do not worry, just keep going for it little by little. 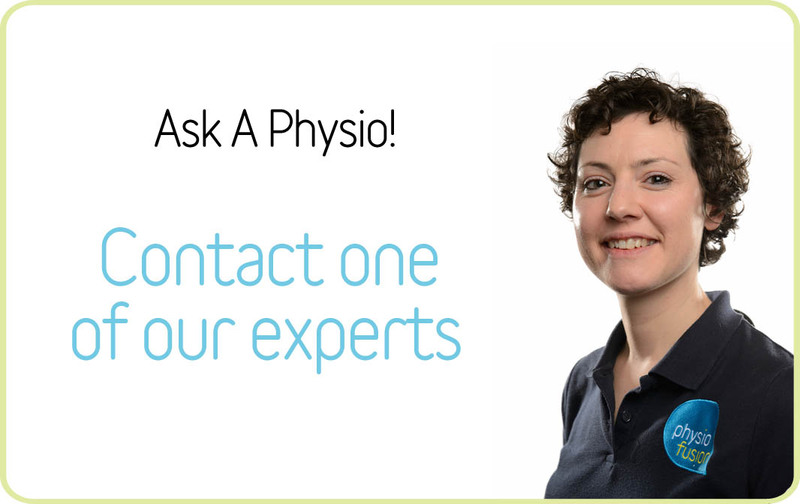 Should you require any help or advice on your couch to 5k programme, why not use our Ask a Physio service for FREE at www.physiofusion.co.uk. Our therapists will be on hand to answer all of your questions and give you their expert guidance.